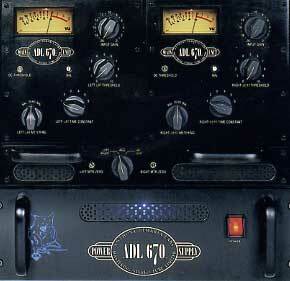 There are a couple of plugin emulations of the Fairchild Limiter but UAD's Fairchild 670 is my favorite. The ADL 670 is a perfect copy of the original Fairchild 670. After years of testing and research, Anthony DeMaria Labs has matched part for part the specs and sound of the original unit. Every detail has been scrutinized to perfection...no corners were cut. Yes...believe it or not, ADL has painstakingly sourced all the parts of this puzzle to offer a very limited run on these uncompromised, untouchable sonic giants!!! 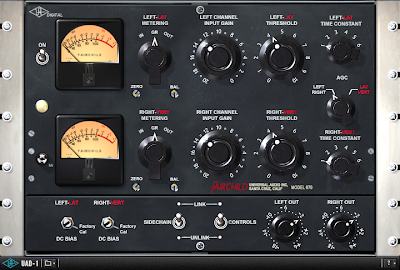 Many in the past have attempted to reproduce the sound of the classic Fairchild 670 but no one until now has taken it to the level ADL has with the ADL 670 compressor. With it's beautiful "military strength" chassis, stand alone PSU, 20 vacuum tubes and 14 transformers...it doesn't get fatter than this. Call ADL today to find out more. 670...running identical material through them with matched settings I would be hard pressed to say there was any difference in the two. They both made the mixes louder and thicker without sacrificing any high or low end or distorting in any audible way." The GML 8200 by George Massenburg has been an industry standard for over twenty years that can be found in virtually every major recording studio. The 8200 has five broadly-overlapping bands which offer 15dB of Boost or Cut and adjustable bandwidth (or “Q”) from 0.4 to 4. The lowest and highest bands can also be used as shelving eqs. Its extraordinary resolution, surgical precision, transparency and tons of headroom have made the 8200 the reference for many other equalizers. 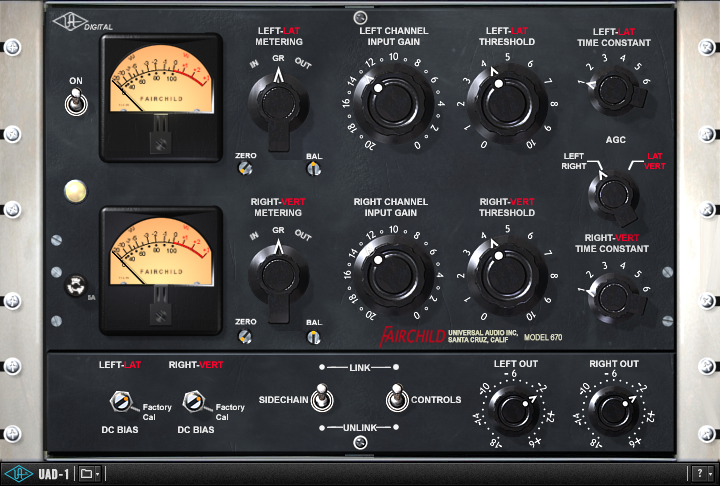 This 8200 gets used on the stereo buss of many consoles but also sounds great on vocals, guitar, piano, strings and brass.